By Andrea Dixon-Seahorn, Ed. S.
For additional information about this book, visit the website www.shewearsitwell.net. Just how does she wear it well? With all the pressures of life a single woman must face, there comes a point where her focus must shift from outward appearances to the inner person which is the essence of who she really is as God’s woman. She Wears It Well is written for every contemporary single woman who desires to find her total fulfillment first and foremost as God’s woman. Whether single by choice or circumstance, these twelve essential qualities such as: faithfulness, creativity, excellence, and strength are attributes every single woman can wear better than expensive make-up, or even a sassy pair of shoes. 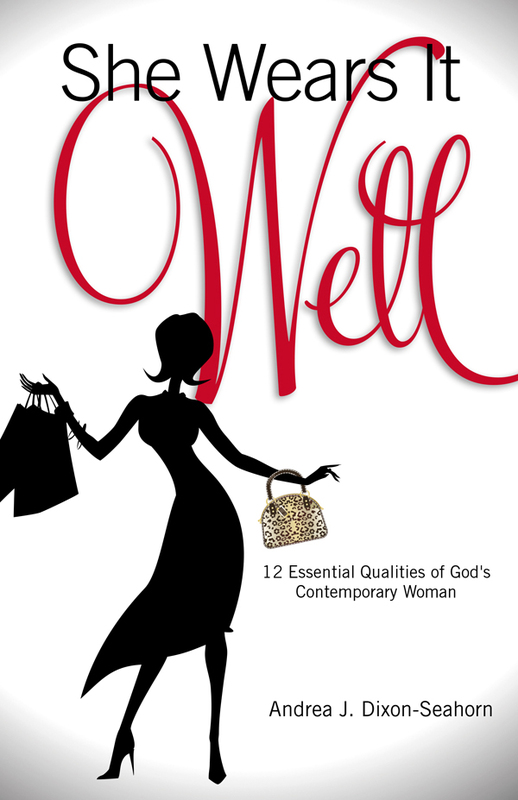 Each of the twelve essential qualities is featured in its own chapter with a discussion of its relevance and importance in modern times from a biblical context, followed by a profile of a woman in the Bible who wears it well. Every chapter concludes with a practical application of how the quality can be cultivated so that the single woman can realize her fullest God-given potential. Andrea J. Dixon-Seahorn is an educational professional and school leader with over 20 years of experience at the elementary and secondary levels. She is the president of By Divine Design Enterprises, her multi-faceted business that endeavors to Inspire! Envision! Innovate! and Empower! through its literary works, inspirational speaking, and educational consulting. Andrea was inspired to write her literary debut to empower the contemporary woman to apply biblical principles to her daily life, making godliness her signature asset. As an entrepreneur, Andrea has launched her own She Wears It Well framed literary art collection based on the classic principles from her book.